Ewan McGregor showing up at premiere of Solo: A Star Wars Story stirred up a couple of questions. Like, will he have a cameo in the movie? And does this mean that the oft-rumored Kenobi movie could be any closer to reality? Meanwhile, a French reporter misinterpreted something Kathleen Kennedy said at Cannes about future movies featuring Lando, Han, and Chewie, and that got everyone worked up, too! We’re sorting out truth from rumor (with no spoilers) today. Punch it! 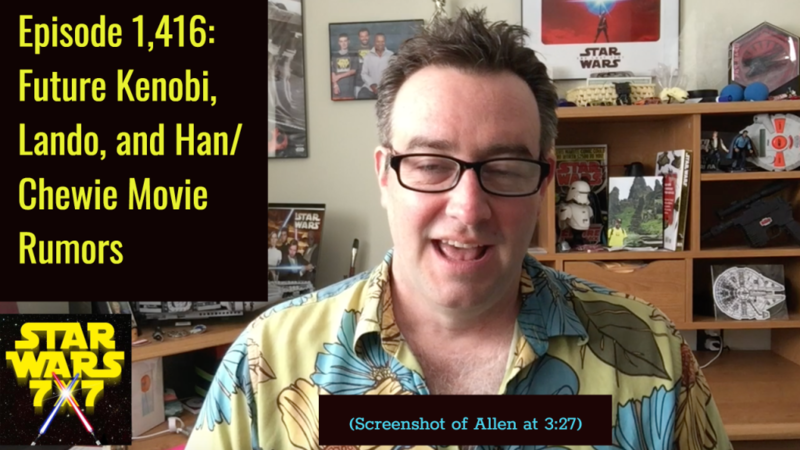 Previous Post: Episode 1,415: Alden Ehrenreich’s Signed for Three Star Wars Movies?